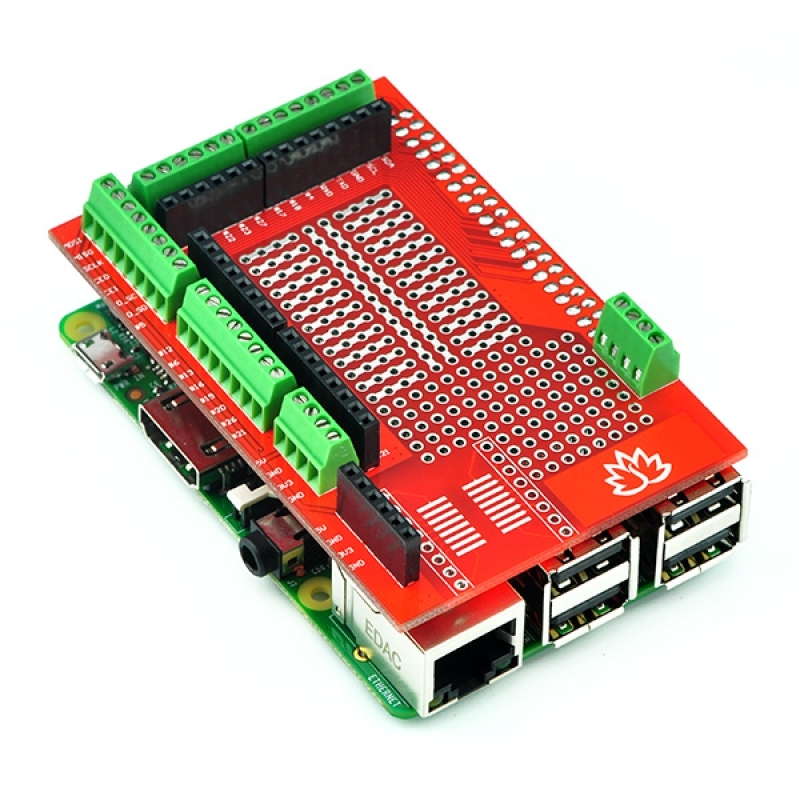 This a Raspberry Pi 3/ Pi 2/ Model B+ prototyping shield from Tinysine, You can stack it on your Raspberry Pi 3/ Pi 2/ Model B+ easily. 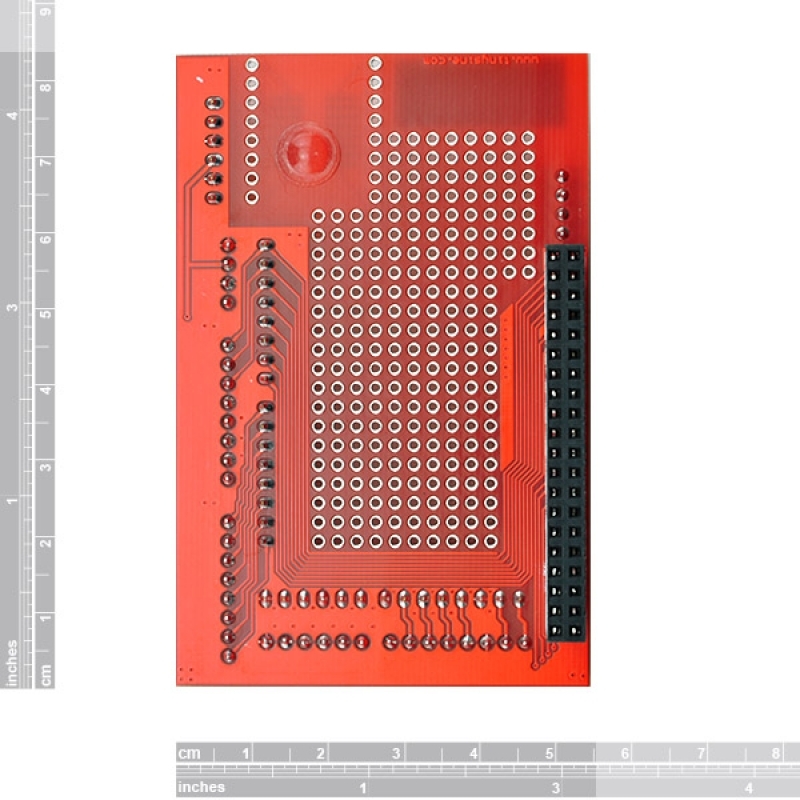 which can snap onto the Pi main board assembly (and is removable later if you wish) and gives you all sorts of prototyping goodness to make building on top of the Pi B+ super easy. We added lots of basic but essential goodies. First up, there's a big prototyping area, half of which is 'breadboard' style and half of which is 'perfboard' style so you can wire up DIP chips, sensors, and the like. 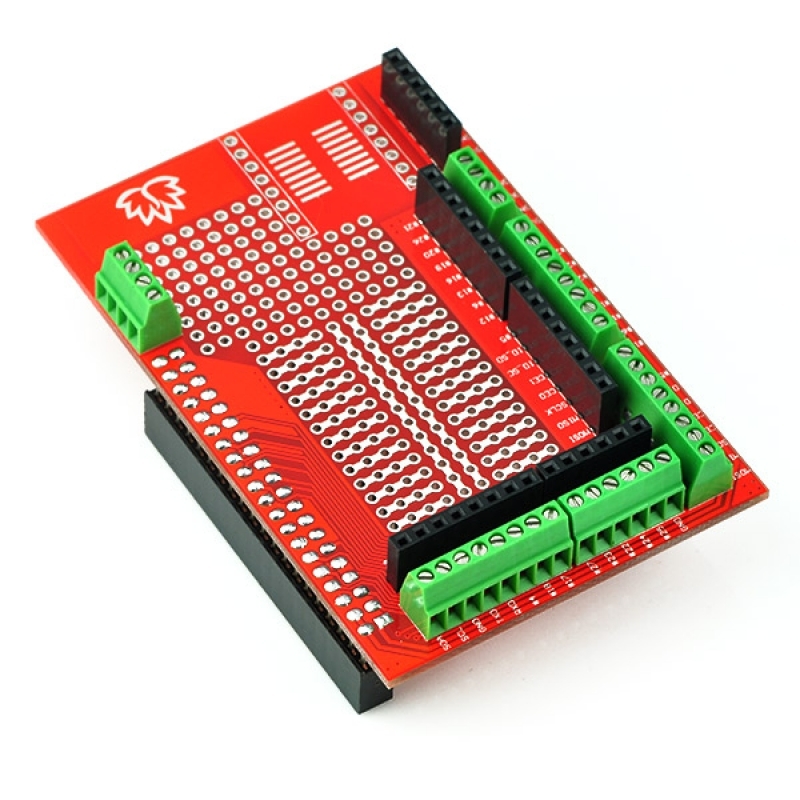 Along the edges of the proto area, all the GPIO/I2C/SPI and power pins are broken out to 0.1" stips so you can easily connect to them. 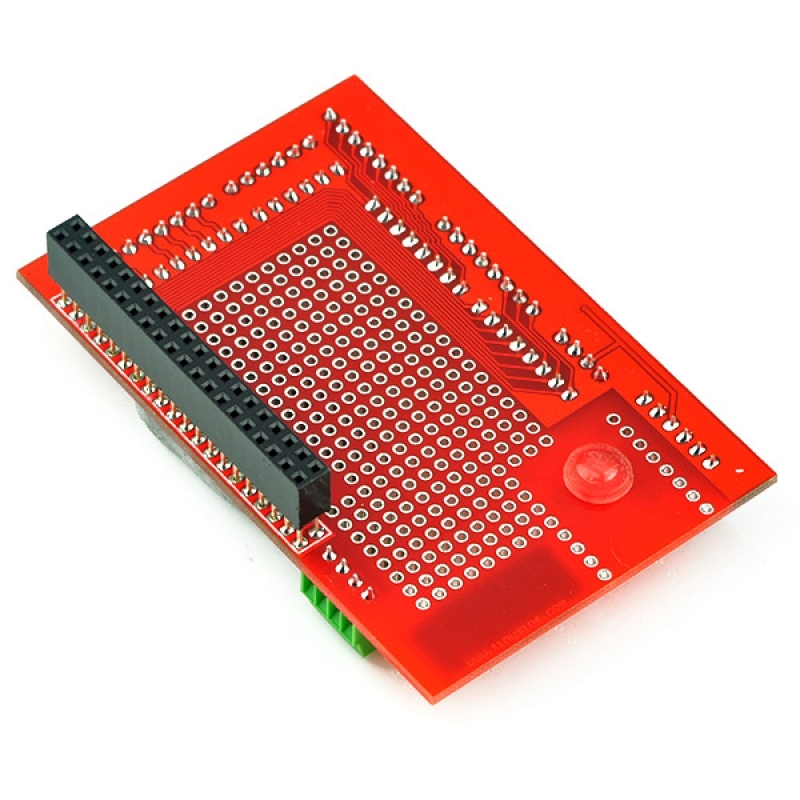 On the edges of the prototyping area, all of the breakout pins are also connected to labeled 2.5mm screw-terminal blocks. This makes it easy to semi-permanently wire in sensors, LEDs, etc. 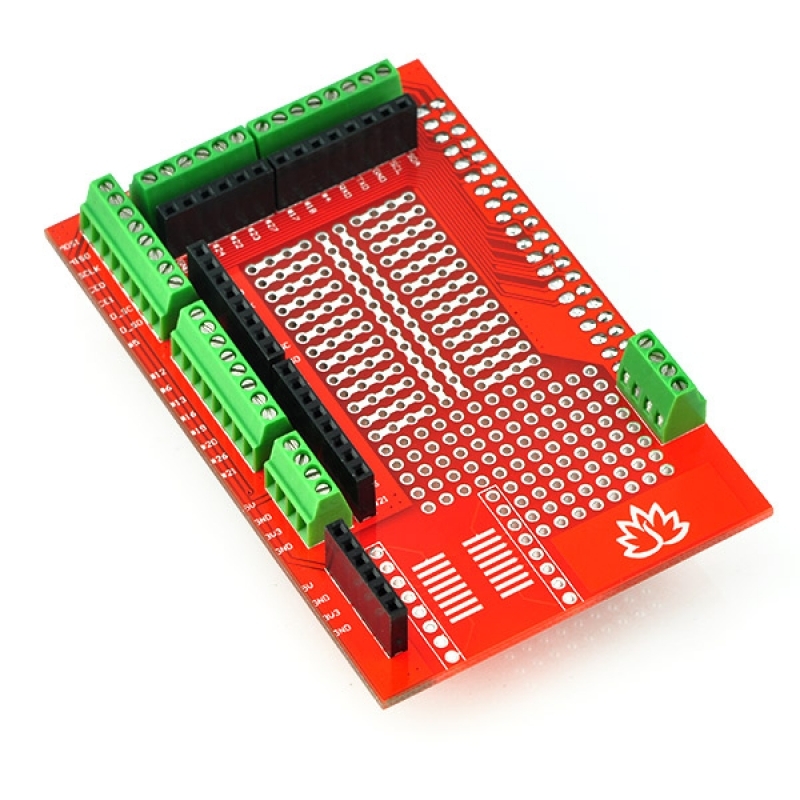 There's also a 4-block terminal block broken out to 0.1" pads for general non-GPIO wiring. 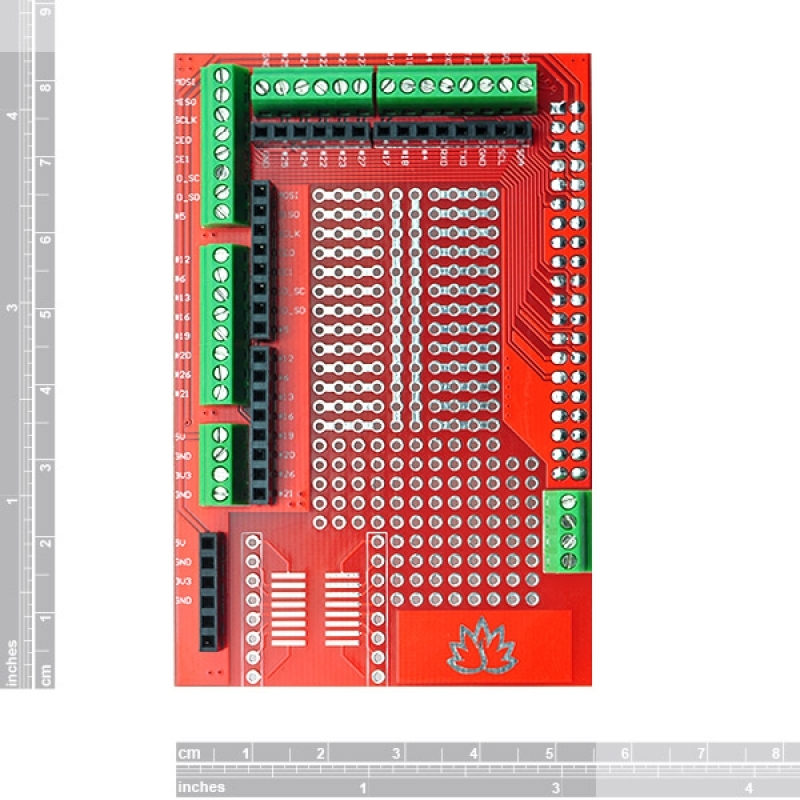 Finally, we had a little space remaining over the metal connectors so we put in an SOIC surface mount chip breakout area, for those chips that dont come in DIP format.